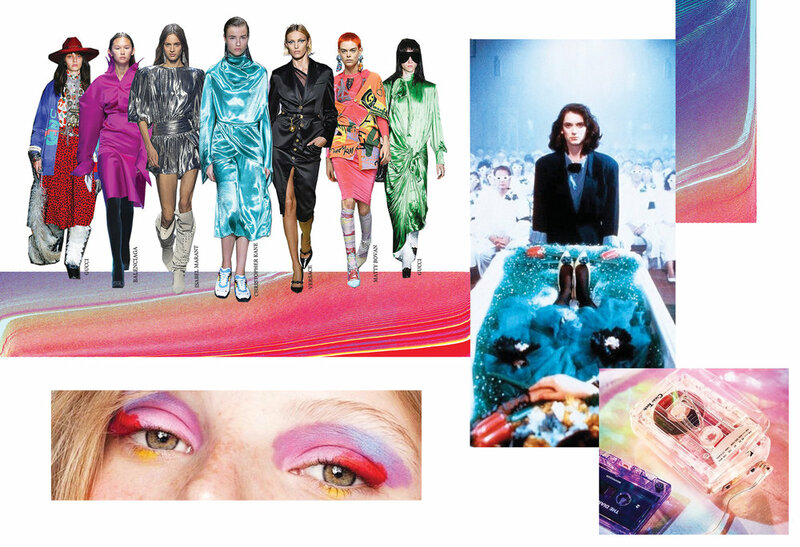 Spring Summer 2019 ready-to-wear saw designers such as Gucci, Balenciaga, Isabel Marant, and Christopher Kane fill the runways with 80’s inspired pieces. Think shoulder pads, exaggerated silhouettes, jewel tones, and metallics. 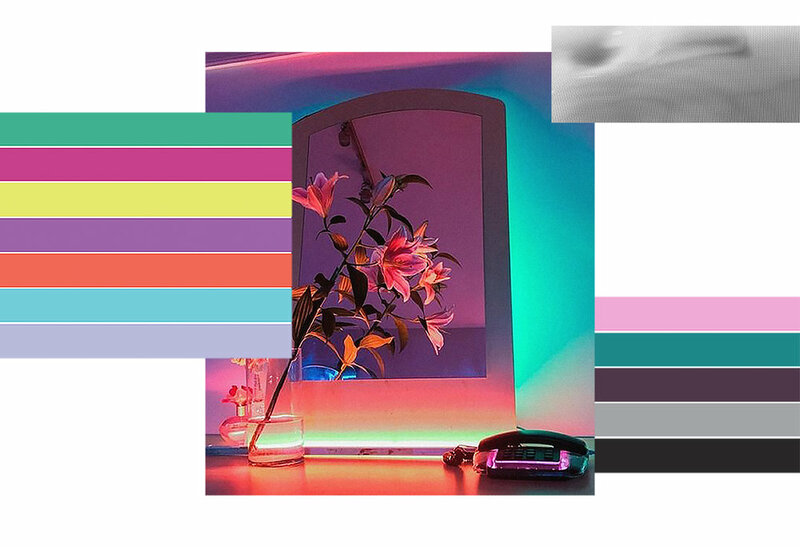 Vaporwave develops this idea to embrace both nostalgia, as well as more sleek, modern technological advancements.